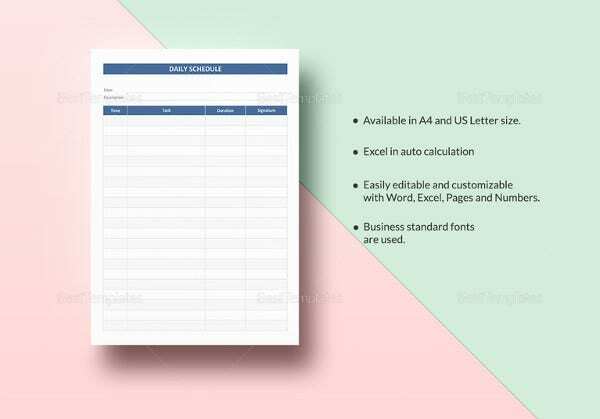 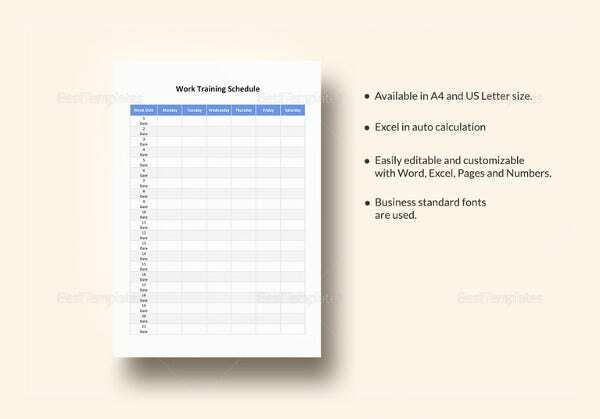 Daily Schedule Template – 37+ Free Word, Excel, PDF Download! 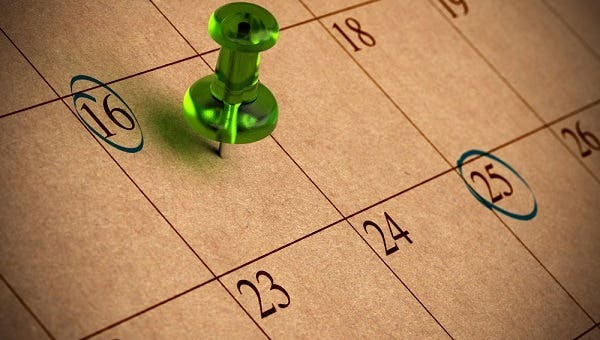 The only difference between successful and the rest of the crowd is that successful people plan every single day of their life carefully. 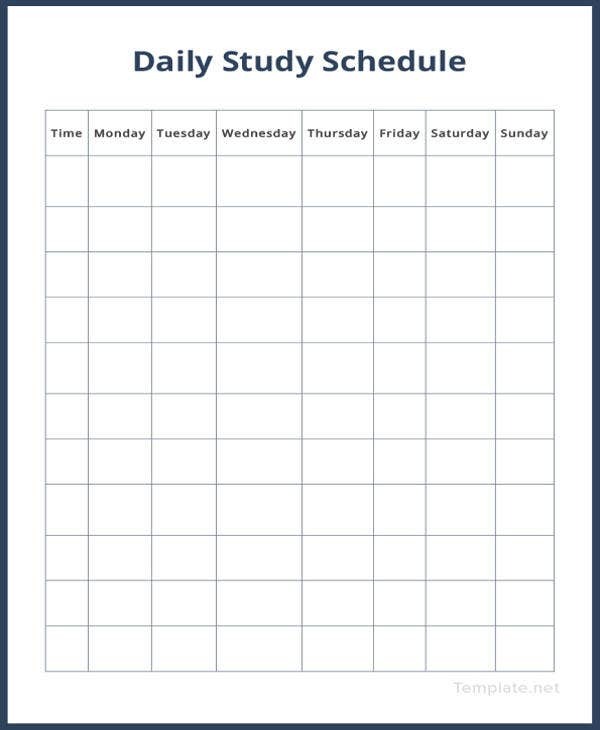 To make sure that your day is productive, it is therefore important to make a schedule and then stick to that schedule. 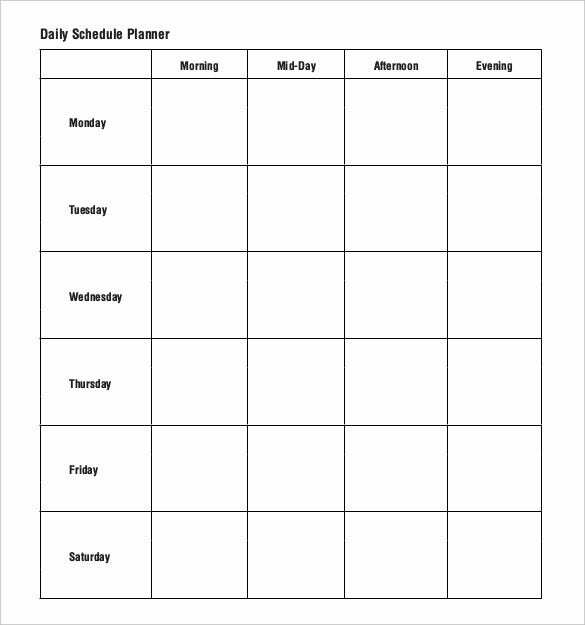 A daily schedule template is a plan that you make for your day for all the work that you plan on getting done on the day and all the tasks that you want to complete in the day. 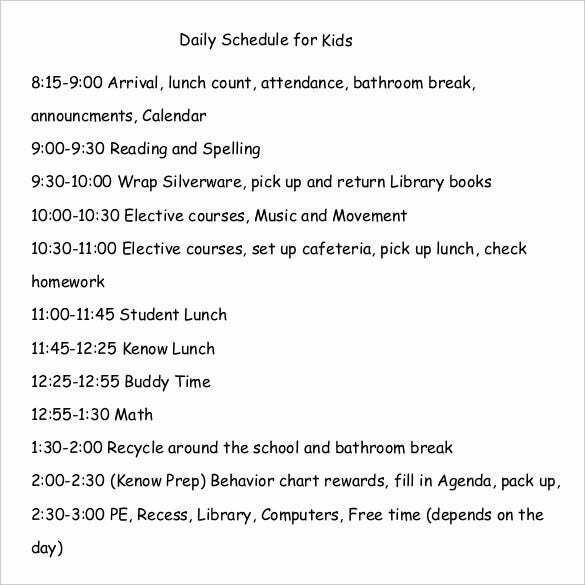 It is a plan that is made with every hour of the day taken into consideration. 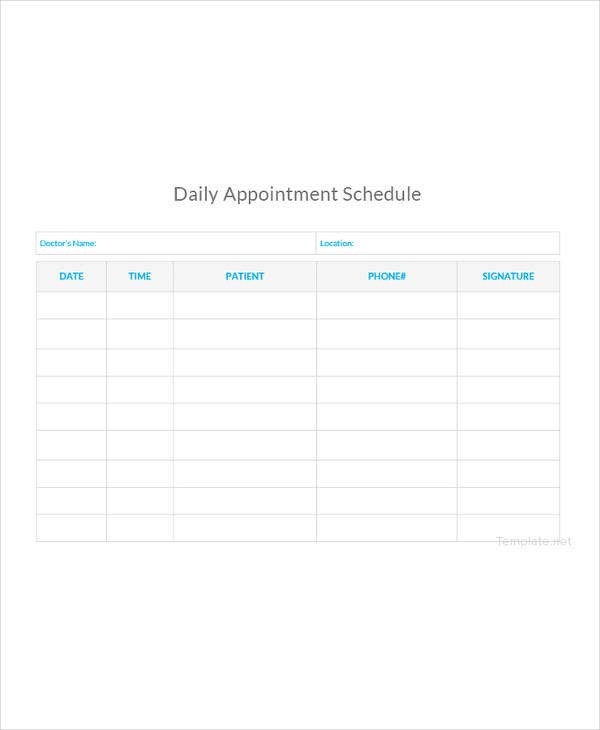 Making a sample daily schedule helps you get things done in your day with much ease. 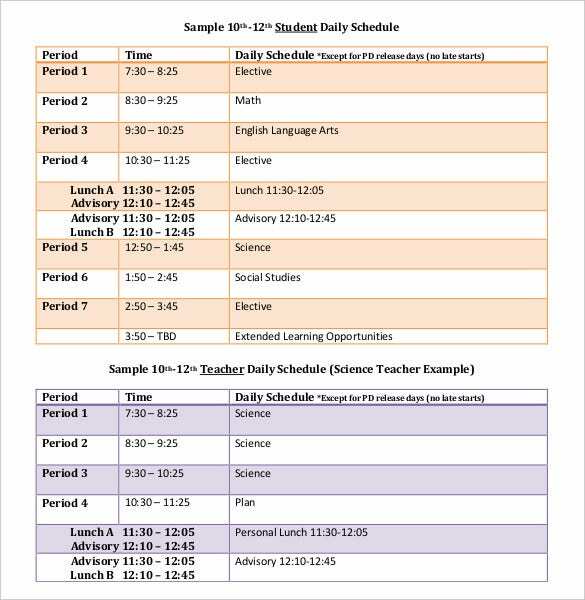 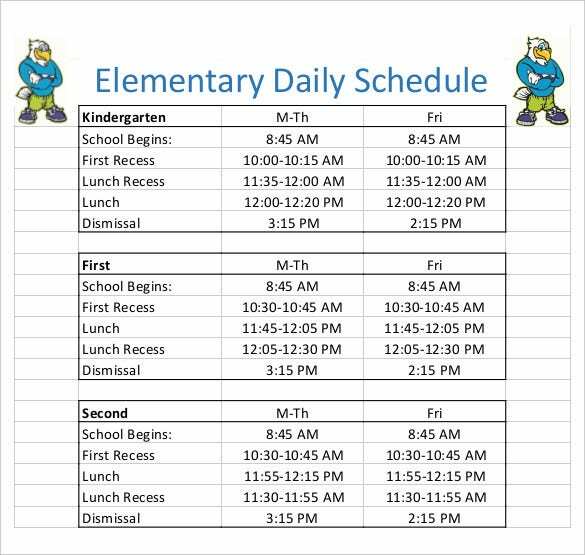 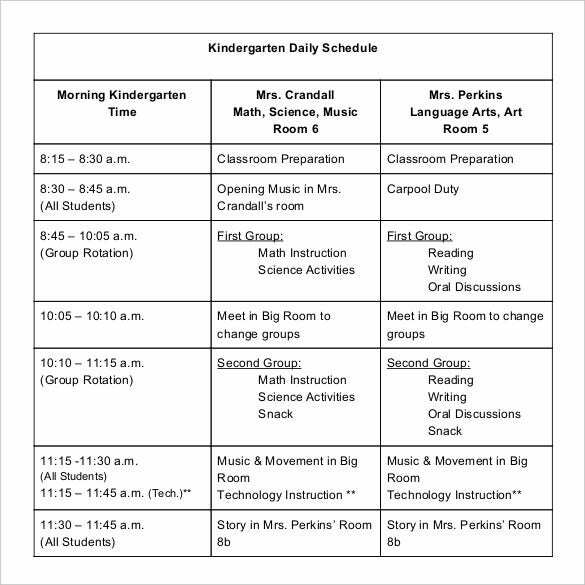 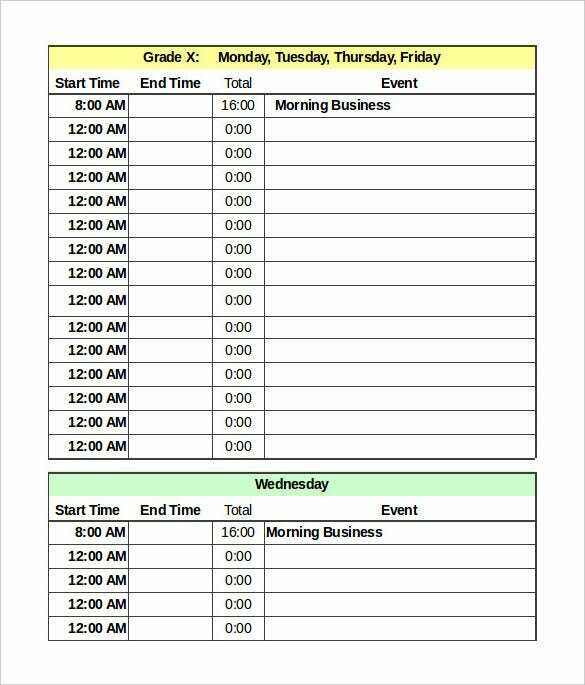 naalehuteacher.k12.hi.us This daily schedule template looks smart and edgy. 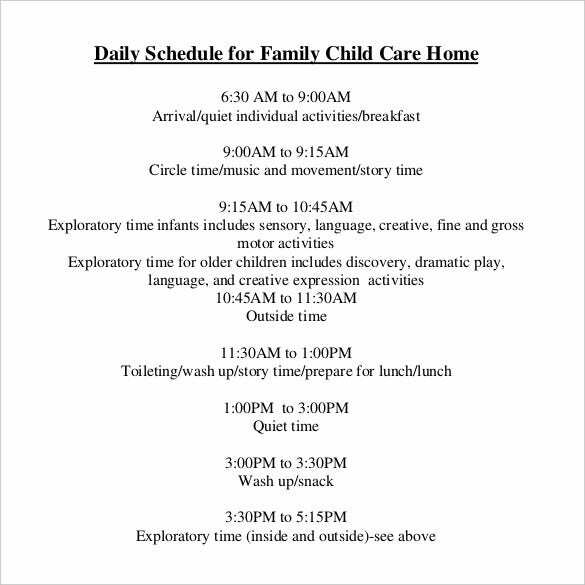 Here you can list down all your activities from early morning to 5 in the evening. 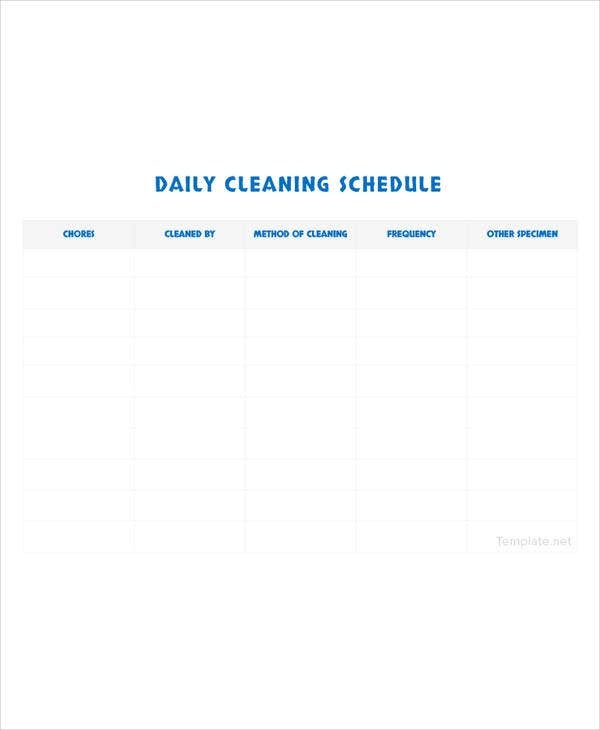 The schedule will let you include every task after every half an hour. 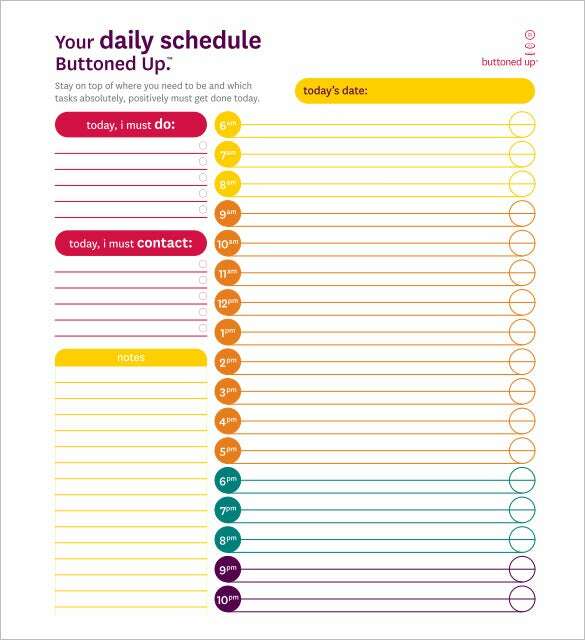 getbuttonedup.com This is a very functional daily schedule which will allow you to list down whatever you do from 8 in the morning till 10 in the night. 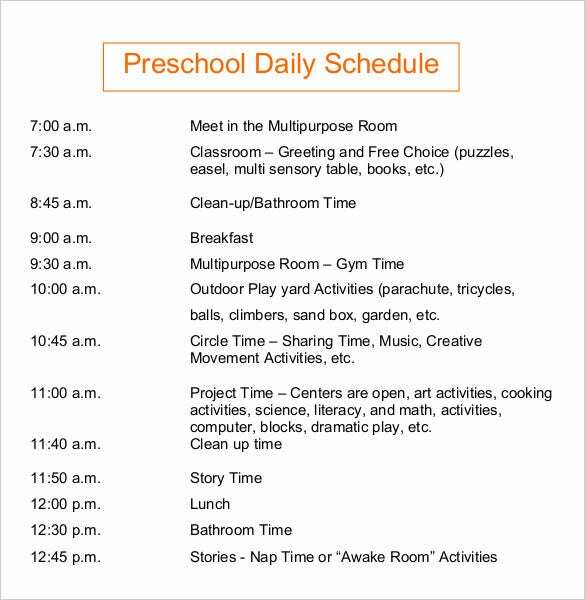 Besides, it also has space for must-do activities and notes for the day. 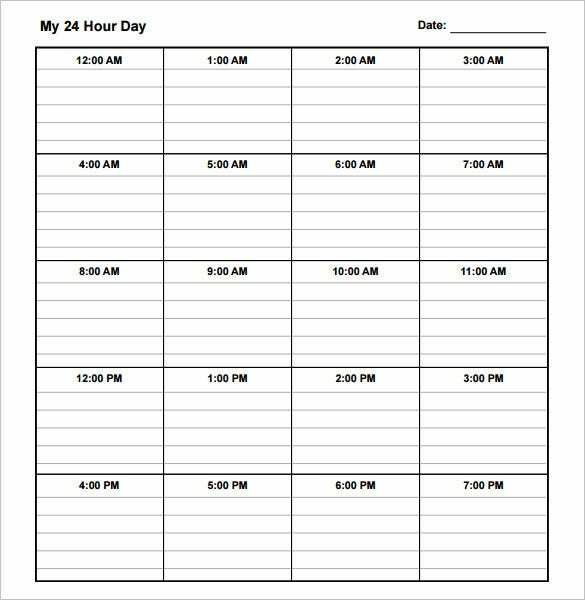 This daily schedule template can be used for an entire week of 7 days. 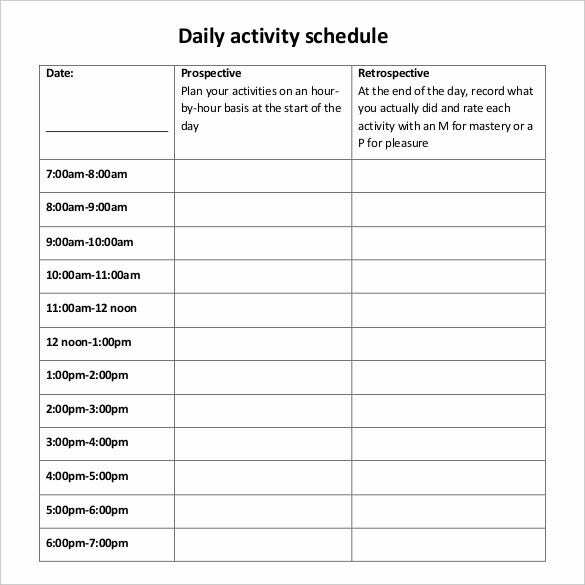 It will allow you to list down all your activities to be performed through 9 hours at a stretch. 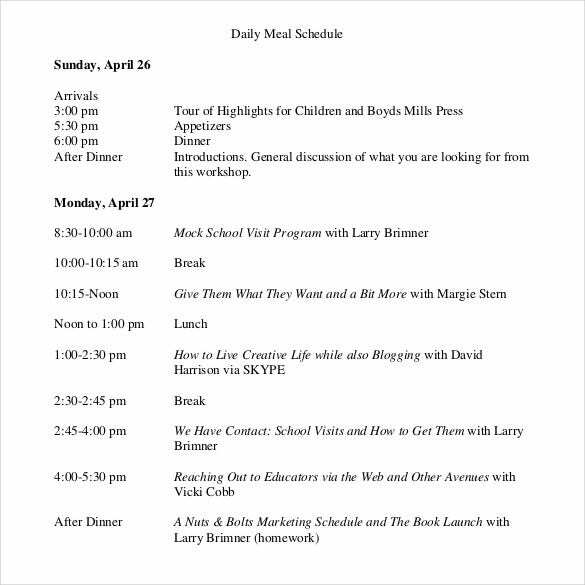 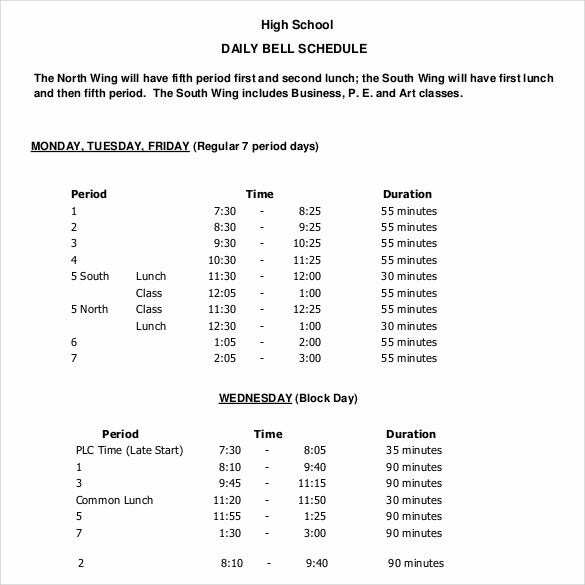 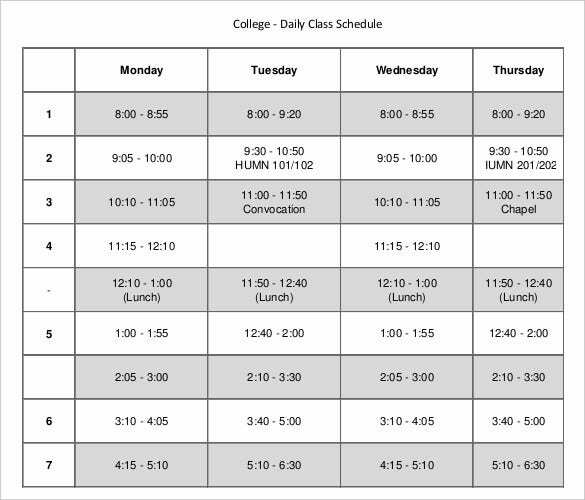 mc.edu This daily schedule will work for everyday in a week. 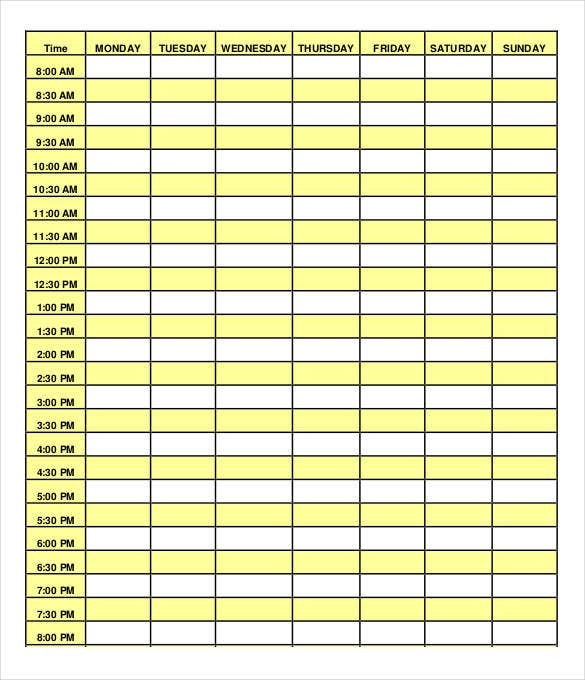 It’s quite an elaborate one which starts from 6 in the morning and goes straight till 12 in the midnight. 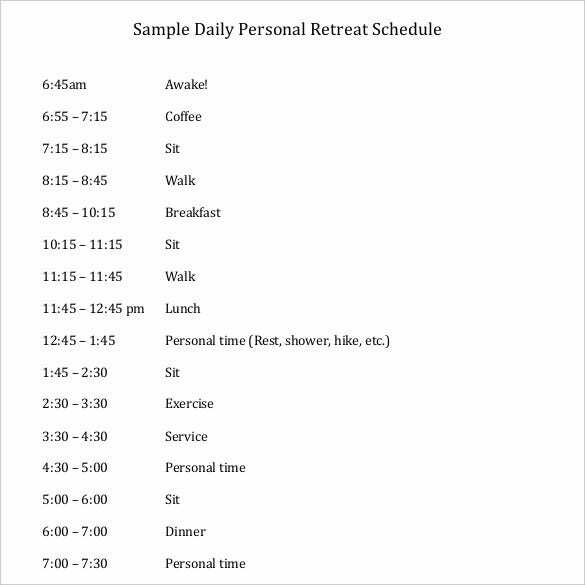 This sample daily template presents a schedule for 6 hours. 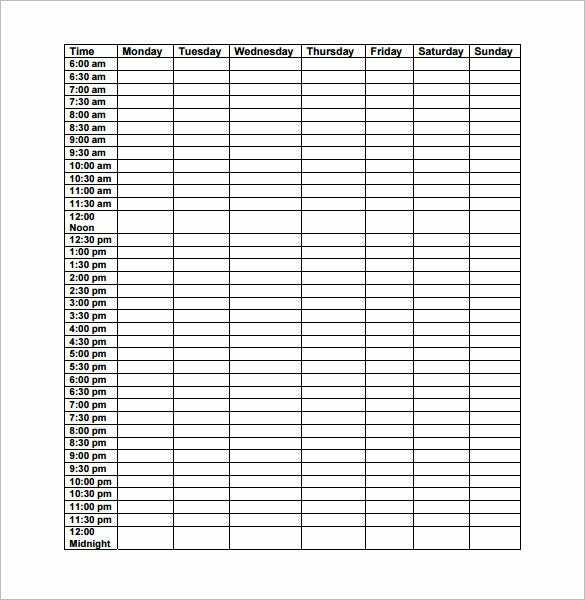 In this case, you have the daily schedule of entire week, from Monday-Sunday and would be able to state every activity after every 30 minutes. 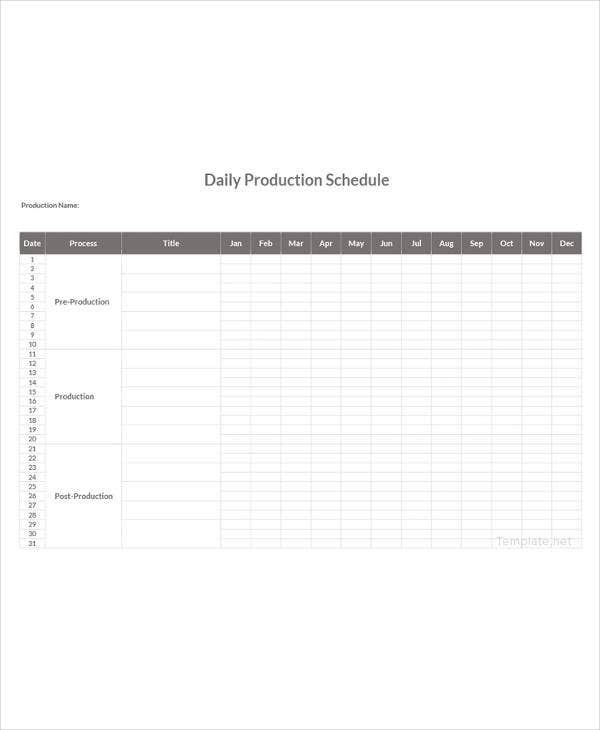 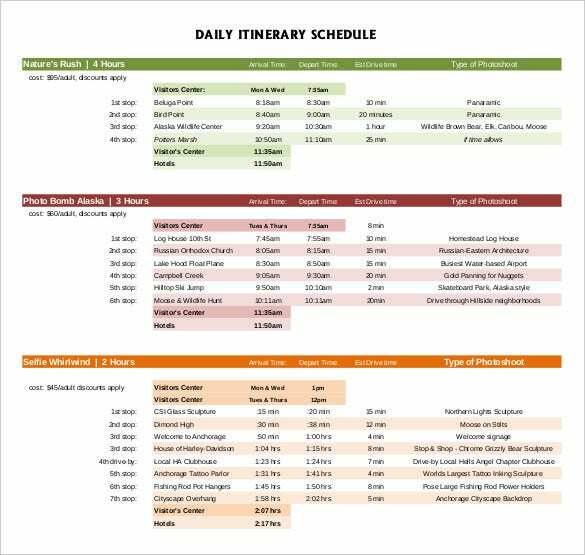 remodelyourmarketing.com This daily schedule template comes with an elongated format where you can list down all your domestic and professional activities starting from 8 in the morning till 10 at night. 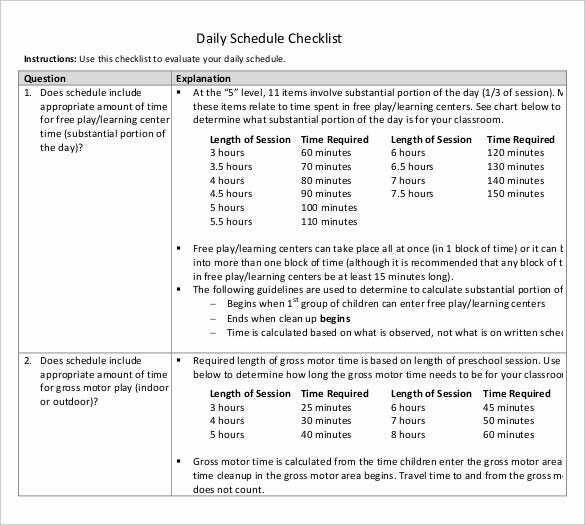 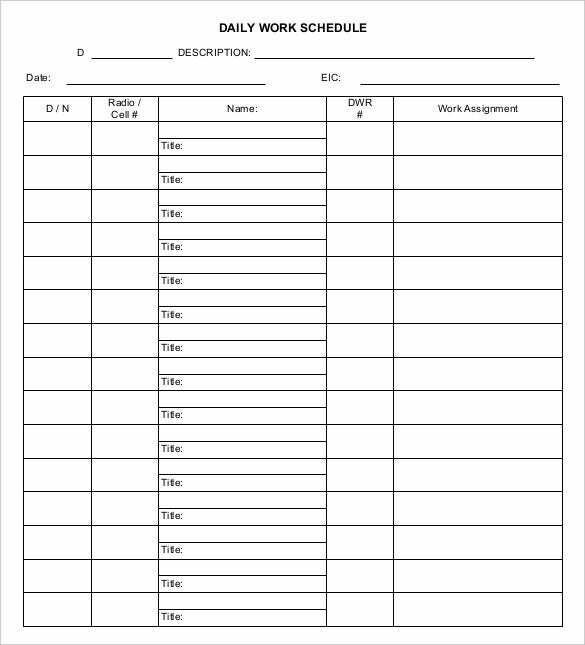 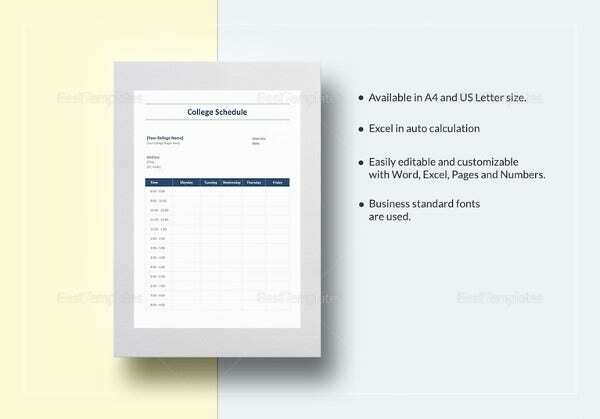 What does a Daily Schedule Template consist of? 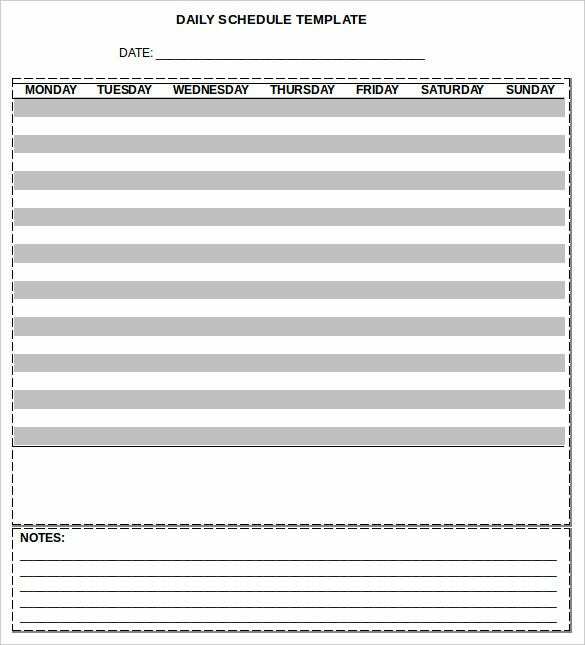 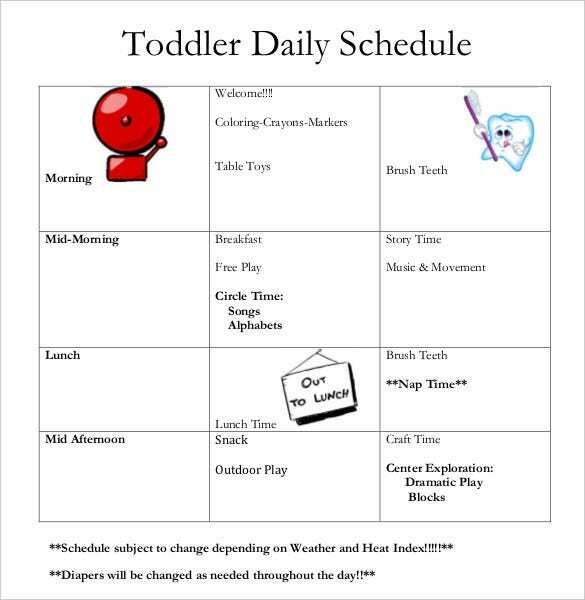 A free daily schedule template is designed based on the necessity. 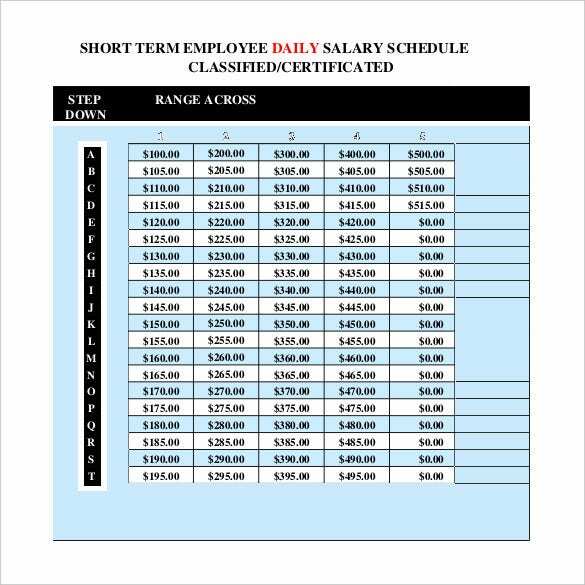 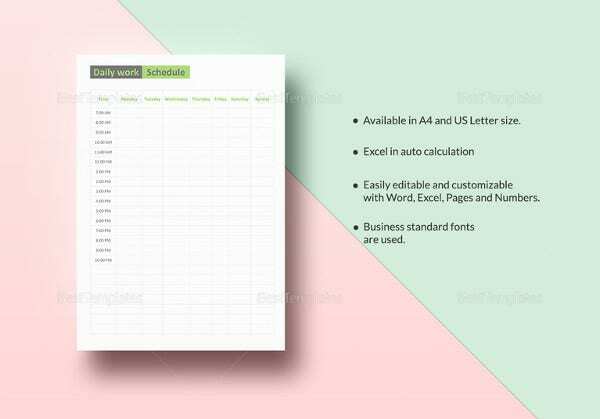 Before you free download one of the sample daily schedule templates that we have got, you should know what a daily schedule template such as that is usually made up of. 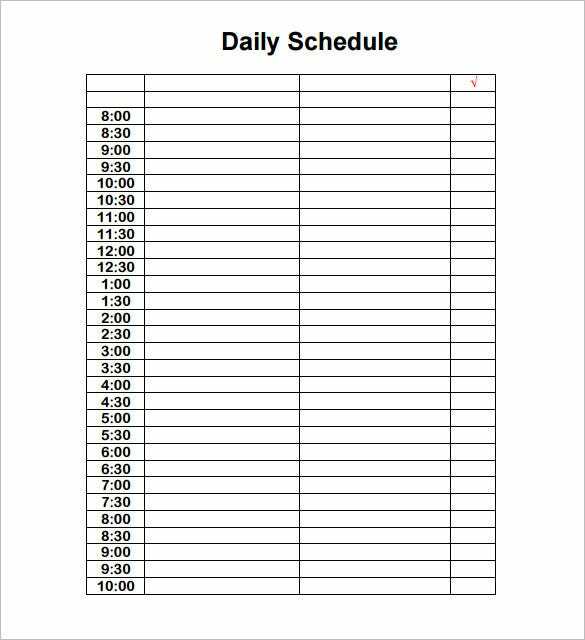 Here are all the components of a daily schedule template listed out. 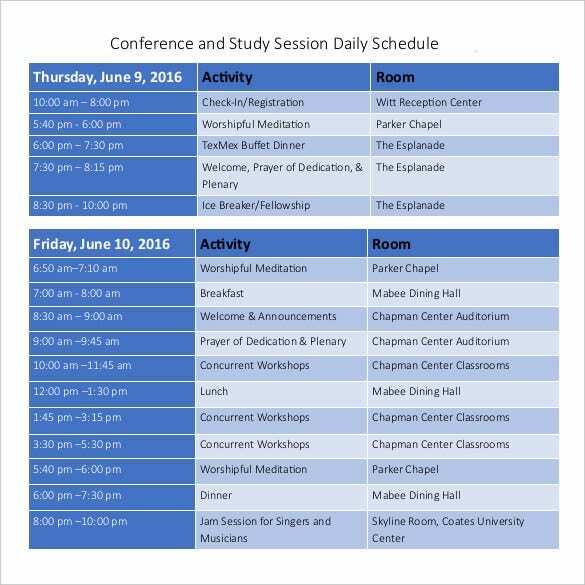 The events that are to take place in day are listed out. 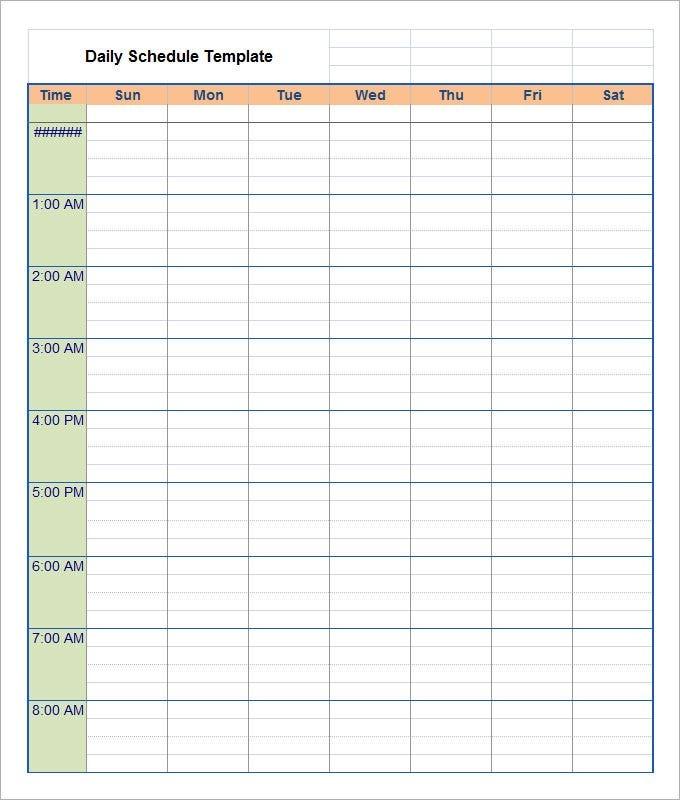 They are then plotted against certain divisions of time to make a chart. 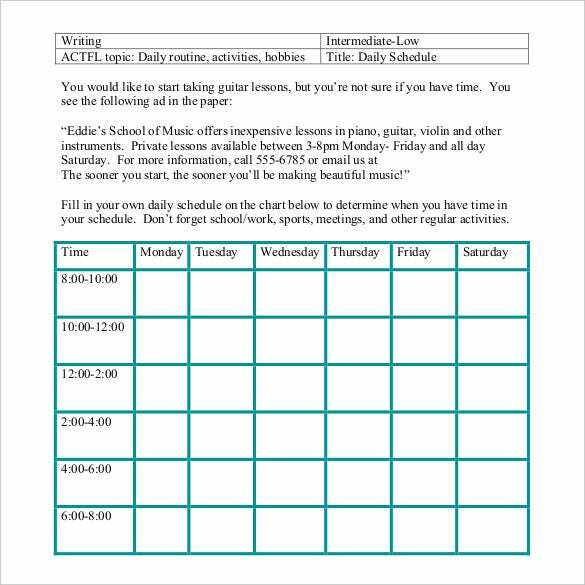 We have collected a long line of career-related plan samples which you can use and customize to plan and organize your career aspirations and goals. 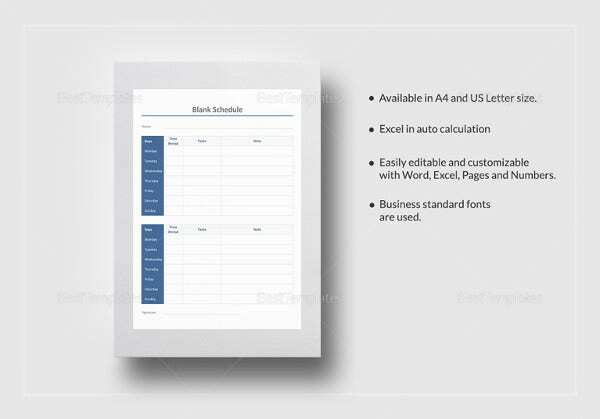 The templates are well-designed and pre-formatted to match your needs. 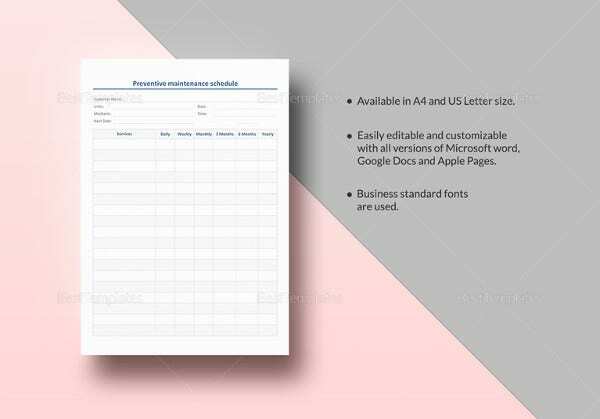 If you run into any issues while downloading or customizing the templates, feel free to contact us! 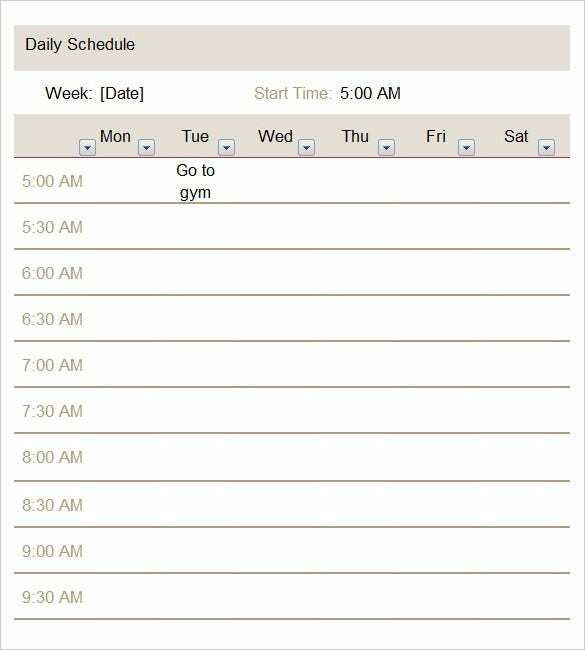 You can also see DMCA.